The Vollrath 90662 Super Pan 3® sixth-size steam pan withstands high-volume use with its heavy-duty stainless steel construction. This material is simple to clean, and users can easily pour product from the pan since it has spouted corners. These corners are reinforced to enhance durability, and the bend-resistant edges ensure the pan can fit in steam tables. As much as 2.4 quarts of product can fit in the 6-inch-deep pan. 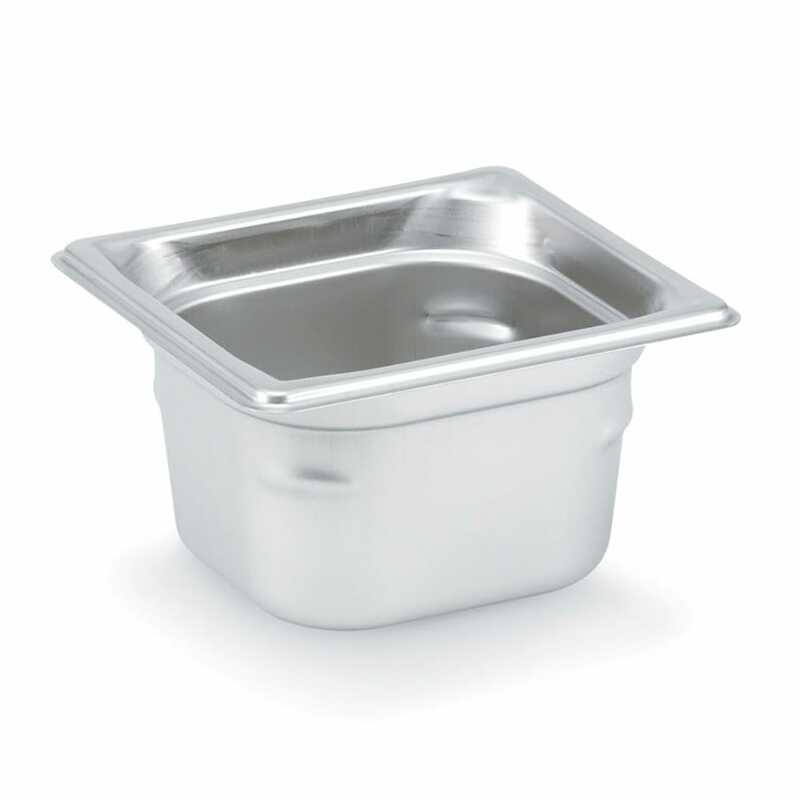 For a breakdown on pan sizes and capacities, check out the steam pans sizing guide.